If you would like a free on-site quote for your home, please click here to contact us. You can always call us during business hours Monday - Friday from 9 AM - 3PM for a quote. Or you can fill out the form below and we will call you. An average home with 2 1/2 bathrooms, 3 bedrooms, a staircase, kitchen, living room, dining room and family room runs approximately $120.00 plus tax. Of course, every home is different, just as every person has different cleaning needs. Many times the first cleaning will require a deep cleaning, before we can begin recurring service. This is almost like doing an old fashioned spring cleaning. This will be something discussed upfront with you. If I don't bring it up on the walk-through, and it is something you really want, please let me know. 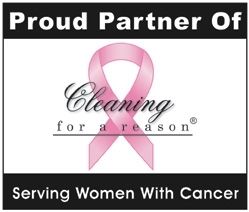 Was this home cleaning service rates page helpful? Click on the link if you have questions.